The all-new Paradise City at Sun 'n Fun (layout still subject to last-minute changes). The curved arcs in the center are the newly relocated LSA Mall. Runway is seen at bottom. The hash markings identify irrigation on the RC runway that uses this area at other times. 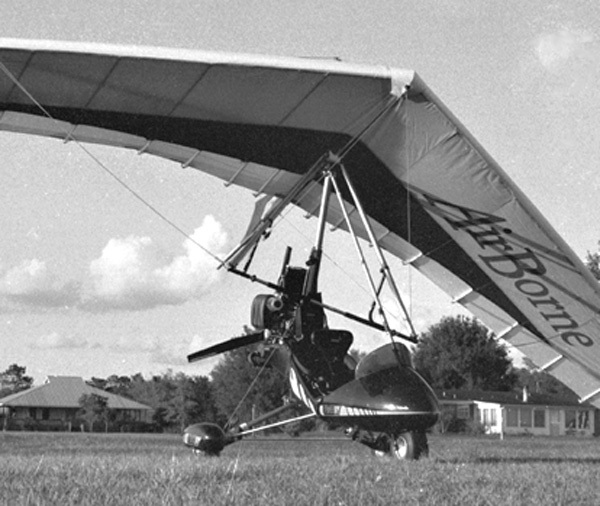 AirBorne makes hang gliders, like the clean "blade wing" at the top plus a line of trikes from two seaters to very light single seaters. Team Will Wing posed for a company photo to celebrate the holidays and reaching their 40th year. CubCrafters Set Records In a second year of modest recovery for the LSA sector, most companies were happy to sell the same as the year before. Against this plain backdrop CubCrafters stands out sharply. The company announced that it delivered 58 new airplanes (52 of which were LSA models), a 23% increase over 2011, and more units than any year in the company's history. They're aiming for deliveries of 66 ready-to-fly aircraft this year. CubCrafters' 2012 deliveries are divided among their three models: Carbon Cub SS, Sport Cub S2, and Top Cub (the latter not a Light-Sport). • They also reported shipping 24 of their Carbon Cub EX kits in 2012, another record. That's 82 aircraft and makes them likely the light aviation leader for the year (we hope to publish our customary market report soon). CubCrafters General Manager Randy Lervold said, "Despite the economic climate, we've managed to defy industry trends." Congratulations, Team CubCrafters; job well done! 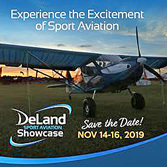 Randy Babbitt to Speak at LAMA Dinner Each year, LAMA, the Light Aircraft Manufacturers Association, hosts its annual dinner on opening night of the Sebring LSA Expo and 2013 will be the sixth annual event. Following AOPA president Craig Fuller in 2011 and then-EAA president Rod Hightower in 2012, the association is pleased to offer former FAA Adminstrator Randy Babbitt for 2013. Now a senior VP with Southwest Air Lines, Babbitt will speak to more than 300 LSA professionals expected at the invitation-only dinner on Thursday evening, January 17th. As a strong supporter of the Light-Sport concept, LAMA is especially pleased to bring in Babbitt. On several occasions, he has publicly supported the concept of self governance by an aircraft sector. Babbitt was also instrumental in moving forward the agency's decision to allow a new ASTM committee to write new perscriptive portions of Part 23 aircraft certification, the first major change in how this is done in many decades. 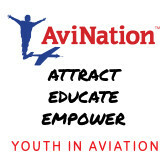 • Welcome all LSA businessmen to the free dinner but please RSVP at this website operated by the dinner sponsor Aviators Hot Line (only minimal information is requested). Paradise City Total Makeover Big things are happening to the location formerly known as the Ultralight Area at the Sun 'n Fun airshow and convention. First, the area will now permanently be known by its longtime affectionate name: Paradise City. Once a place of great charm and thick crowds, the area suffered from the dual effects of the economic recession and the arrival of Light-Sport Aircraft. Many vendors of LSA never exhibited in Paradise City and regard the location as out of the mainstream. However, major revisions to the paved east-west Doolittle Road to allow for TSA fencing has the road — heavily used by entering vendors and many others — dipping deeply down into Paradise City (see drawing). This will dramatically change the dynamics of Paradise City and significantly enhance its visibility. • Another major change is operational: aircraft will be allowed to fly all day — even during the main airshow (except when the Thunderbirds fly). They'll use the 1,400-foot turf runway, which has seen major improvements at each end of the runway. It now provides more than 2,400 feet of unobstructed access. 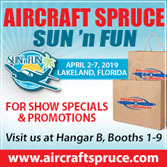 LSA vendors who meet new rules of operation will be permitted to conduct demonstration flights most of the day right on the grounds of Sun 'n Fun and far more easily than using the main runway. Active demo operators can give multiple flights per day to prospective customers and then invite them to visit the LSA Mall right in the center of the newly revised area. 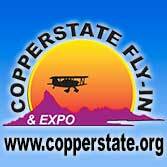 Many other vendors will also conduct flights and have their exhibits in the area. C'mon over to the all-new Paradise City and watch the action in 2013. 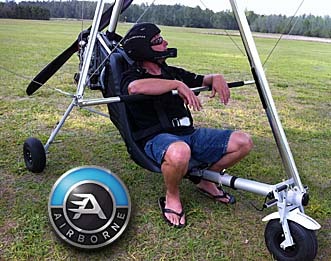 AirBorne News Weight shift aircraft, commonly known as trikes, don't get their fair share of news and we want to update you on one of the leading producers: Australia-based AirBorne with representation in the USA by companies like Precision Windsports. I greatly enjoyed flying AirBorne's Thermal-Lite trike with its excellent Bailey single-cylinder four-stroke engine. AirBorne reported, "All T-lites are now going out with the latest Bailey V5E engine. The V5 is the fifth generation of the Bailey Aviation four-stroke engine." Revisions include a two-piece CNC machined cast-alloy crankcase at 195cc using two valves operated by a chain driven overhead camshaft. The oil system is fully pressurized to maintain constant oil pressure regardless of the oil temperature or RPM. • If the T-lite is too big and heavy for you you could try AirBorne's new V-lite. "The V-lite single seater soaring trike is perfect for hang glider pilots as it fits into the sub-70kg (154-pound) category," said AirBorne. Hang glider pilots can fly it with minimal instruction. 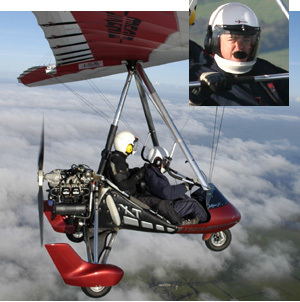 V-Lite uses AirBorne's F2T wing based on the F2 hang glider wing (photo); it can also be used for foot launch free flying. 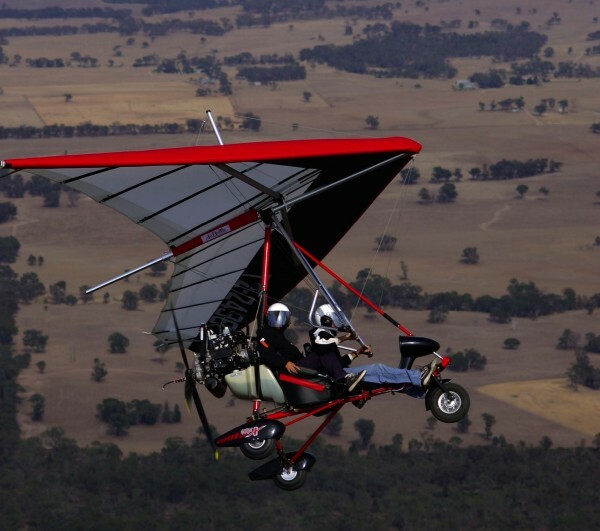 • As if they didn't have enough to do making two-seat trikes, light trikes, trike wings and hang gliders, AirBorne is also representing the Magni Gyro company down-under. A first shipment of Magni Gyrocopters will arrive at Airborne in January including two M24 Orions and an M16. Wills Wing Celebrates Turning 40! At the lightest end of flying, one company in the USA excels like no other. For hang glider and paraglider enthusiasts the brand name Wills Wing is as good as it gets. I have long known and admired the owners of this well-run California company so I am very pleased to offer my congratulations to Wills Wing on their 40th anniversary. Five years ago I reported the company had produced more than 22,000 gliders and they must now be reaching or exceeding 25,000 ... a remarkable accomplishment for any aircraft company. • You can see their line near and close to Sun 'n Fun at one of my very favorite places to go in Florida. Wills said, "Our Wallaby Ranch 2013 Demo Days and Fly-In will be held Wednesday, April 3rd, through Saturday April 6th, with our traditional party and dinner on Saturday night. (Sun 'n Fun 2013 runs 9-14 of April, so you could make both.) • The company had a very special celebration this summer when Wills Wing Team pilot Dustin Martin set a world record flying his Wills Wing T2C 144 hang glider 475 miles from Zapata, Texas. The previous record stood for 11 years. Most powered pilots are amazed to hear hang gliders can travel so far. The company's top-of-their-line T2 wings run $6,575 to $8,585. They can achieve sink rates of only 175 feet per minute. As I close out this first-of-2013 LSA news wrap, I want to extend a Happy New Year greeting to all our loyal readers and to most sincerely thank you for making 2012 by far our best year ever! We were up in every measurement category from 21% to 58% over our best prior year. Given the sluggish economy we're pleased to evidently be offering what you want and we plan to keep it up. Watch for fresh news and videos from Sebring starting in just days. CubCrafters Set Records In a second year of modest recovery for the LSA sector, most companies were happy to sell the same as the year before. Against this plain backdrop CubCrafters stands out sharply. The company announced that it delivered 58 new airplanes (52 of which were LSA models), a 23% increase over 2011, and more units than any year in the company’s history. They’re aiming for deliveries of 66 ready-to-fly aircraft this year. CubCrafters’ 2012 deliveries are divided among their three models: Carbon Cub SS, Sport Cub S2, and Top Cub (the latter not a Light-Sport). • They also reported shipping 24 of their Carbon Cub EX kits in 2012, another record. That’s 82 aircraft and makes them likely the light aviation leader for the year (we hope to publish our customary market report soon). CubCrafters General Manager Randy Lervold said, “Despite the economic climate, we’ve managed to defy industry trends.” Congratulations, Team CubCrafters; job well done! Sometimes you're in the right place at the right time. Well, OK, I'm biased but I think pretty much any time at Wallaby Ranch — the iconic hang gliding facility south of Disney Orlando — is a good time. When it also happens to be "Demo Days," Wallaby is a jumping place! Demo Days is a longstanding activity where the California manufacturer, Wills Wing, brings its newest hang gliders by the truckload so that any qualified pilots can fly them for purchase evaluation. Lots of other folks show up because it's fun and exciting but also because organizers hold the event right before Sun 'n Fun starts. Wallaby customers compose the perfect crowd for introducing a lightweight trike that can be flown for soaring fun. 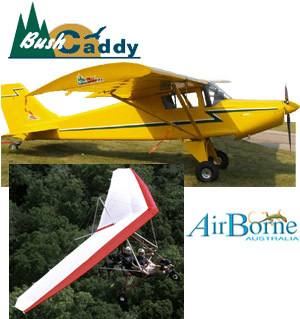 Airborne Australia is the down under manufacturer of both hang gliders and a successful line of trikes; they own SLSA status for their XT-912 and XT-912 Outback. "We are pleased to showcase our new Part 103 trike, the Thermalite (or TLite) with also-new Core wing," Airborne announced. Company director Russell Duncan (photo) said TLite's most distinctive feature is the Bailey 4V-200 engine from England. 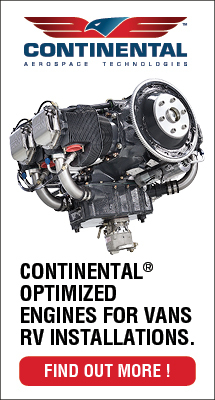 A 200cc SOHC four-stroke puts out 22 horsepower at 8200 rpm via a Poly-V belt reduction drive. Thanks to a low weight of just 43 pounds Bailey engines have seen wide use on powered paragliders. "These are beautiful engines purpose built for ultralights," clarified Russell. Airborne also notes that the wing has been tested to Light-Sport Standards assuming a pilot weight of 242 pounds. On my visit to Wallaby today, I got a chance to take a flight in the Thermalite/Core. What a sweet little machine! Even without hearing protection and at full throttle noise is modest. Engine shut down and restart is simple. Climb isn't fast but more than sufficient. Handling on the Core wing was light and effective, a one-handed flyer if conditions permit. Both wing and trike carriage fold up for transport by pickup or trailer and since it weighs only 238 pounds empty (well under the Part 103 weight limit of 254 pounds), Thermalite won't be too much to handle. Seek out Airborne at Sun 'n Fun to get more info, but here's a few extra tidbits from my early screening. Thermalite will cost $18,300 plus shipping making a U.S. total of just under $20,000. That is a complete price with four-stroke engine, electric start, and a ready-to-fly weight shift trike. Thermalite carries just three gallons of gasoline yet several folks flew the machine throughout the day on a single tank. I took off with a gallon and a half on board and couldn't tell I used any on landing (which I did engine off). Can you tell I enjoyed Thermalite? Sometimes you’re in the right place at the right time. Well, OK, I’m biased but I think pretty much any time at Wallaby Ranch — the iconic hang gliding facility south of Disney Orlando — is a good time. When it also happens to be “Demo Days,” Wallaby is a jumping place! Demo Days is a longstanding activity where the California manufacturer, Wills Wing, brings its newest hang gliders by the truckload so that any qualified pilots can fly them for purchase evaluation. Lots of other folks show up because it’s fun and exciting but also because organizers hold the event right before Sun ‘n Fun starts. Wallaby customers compose the perfect crowd for introducing a lightweight trike that can be flown for soaring fun. 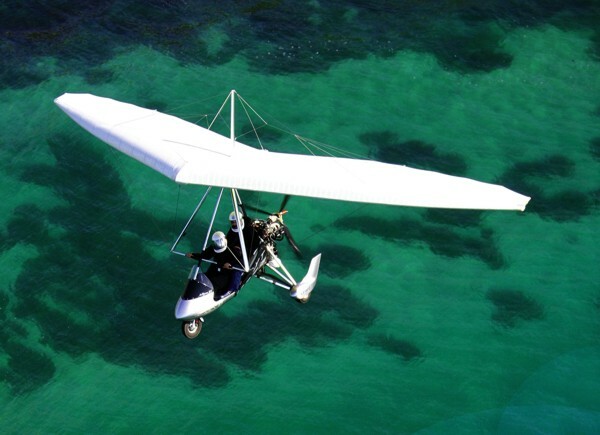 Airborne Australia is the down under manufacturer of both hang gliders and a successful line of trikes; they own SLSA status for their XT-912 and XT-912 Outback. POD PANEL - Instead of a bulkier nose cone with built-in instrument panel, this simpler AirBorne trike uses just a stand-up pod with a couple of essential instruments. I liked the simplicity. SUSPENDED AND DAMPED - AirBorne made the nosewheel suspended, which tends to keep in more secure contact with the ground. It is also damped against shimmy as seen by the piston aft of the right foot peg. SLIM LINES - A simple trike without a nose cone and with a single-surface wing, AirBorne's Edge X 503 Wizard trike looks light and flies like it looks. Although the company's Executive trike is far fancier, I prefer this easier flying model. CUSTOM TANK - AirBorne has put serious design attention into the shape of their new fuel tank. As you look below the fuel filler cap, you see a ridge that stands out from the tank. This allows a rearward glance to determine your fuel supply. SHOCK CORD - Unusual among trikes, the AirBorne uses bungee cord main gear suspension to provide some give on rough terrain. Such a method is common on 3-axis designs and yields the same ride on this trike. SMILING AUSSIE - AirBorne company rep Rob Hibberd takes the front seat to show us how roomy and comfortable his trike can be. Hibberd has worked airshows in the U.S. for AirBorne Australia and is also a writer focusing on light flight in Australia. SEATBACK - Some trikes use a fold-up backrest. The AirBorne system uses a firmer backrest with an interior metal framework. FLIGHT CONTROLS - Note to 3-axis pilots: This view reveals many of the controls for flying the trike. Above the foot peg is a throttle (right) and brake (left), plus aft-seat foot steering bar. A stationary footrest shows about a foot rearward. BARE ESSENTIALS - You see what you get in this more sparsely-equipped AirBorne trike powder-painted in all white. The front support tube is routed through the pod in a nice finishing touch. For years now, the boys from "down under" at AirBorne Australia, led by co-owner Russell Duncan, have been coming to America. The ultralight they have been showing is the deluxe Edge Executive model. It's a beauty, but the company lacked a simpler, lower-cost model. No more! In April of last year, Duncan and crew debuted what they call the Edge X Wizard model. The "Edge X" series refers to the new trike carriage, above which you can have the double-surface Edge wing, making the Executive trike, or you can select the new single-surface Wizard wing. It is this new offering that is the focus of this pilot's report. Smoothly finished in all-white powder coating, and lacking the nose pod and aft fairing, the new Edge X trike carriage looks light and basic. At only $11,700 fully assembled, it should find a market in the USA, I feel. (The figure is complete in every way except for an import shipping charge, which U.S. distributor Sam Wade at AirBorne America says has averaged about $700. Combine these and you get a $12,400 price for a ready-to-fly ultralight available in the U.S.) AirBorne Australia released the Edge X series of trike carriages after gaining Australian airworthiness approval late in '97. While the carriage and engine part of the aircraft has much to do with creature comfort and powered performance, the wing defines handling and other performance parameters. So, calling this the Wizard - which refers to the single-surface wing design - says a lot about how it flies. Of course, wing and carriage are a package among trikes, and the Wizard model is no exception. In this new offering, AirBorne has done a good job of integrating a basic carriage with a simple wing. For enthusiasts of light, slow flight - that which defines ultralights - the Wizard is an exciting new choice. Keep It Simple For the past few years, one fellow has accompanied Russell Duncan to America as a key AirBorne staffer. He's Rob Hibberd, a long-time veteran of the ultralight (and hang gliding) industry. He's also a writer, I know, as we share by-lines in Fly & Glide(formerly called Drackenflieger), a German aviation magazine. Some personal familiarity made our flying experience and discussions all the easier. Hibberd talked at some length about the cost and challenge of certification. This is a subject not well-known among fun flying enthusiasts in America, as ultralighters are not required to fulfill certification demands by our FAA to operate flying machines. Based on what Rob said, all I can say is, "Thank goodness!" Hibberd spoke emphatically in his Aussie accent about the cost to change any little thing under such a system. For example, when AirBorne decided to remove the pod to create the simple Wizard from the Execu tive configuration, they had to redo extensive flight tests. Perhaps this seems obvious and no big deal, but doing it for their Australian FAA-equivalent added several thousand dollars of additional expense. All this just for the pod removal. Other aspects of the changes forced further retesting. Clearly, the Edge X Wizard is tough enough to win Australian approval, but since the "down under" country has a population of only 18 million, AirBorne Australia must also sell abroad to cover the certification expense. Therefore, the AirBorne team must meet more than their own govern ment's programs - they must also learn and understand certification programs in other countries and win their approval. Keeping the Wizard simple meant it would not possess the sophistication of the truly deluxe Executive model. While the Executive's double-surface wing, nose cone and side fairing plus the more potent 65-hp Rotax 582 engine are the most obvious differences, the Wizard is built to be basic throughout. Like virtually all trikes, the Wizard anticipates your needs in a few ways. Among these are a combination foot throttle - needed during the takeoff or landing phases where both hands should remain on the control bar. During those times, you use the foot throttle on the right foot pedal. Everyone knows the challenge of holding a steady speed with the foot throttle of an automobile. It's no different in a trike, and for any longer cruising, your foot may tire. Thus, trike makers today give you a friction-locked hand throttle, as well. All such combination throttles I can recall have an override feature such that the foot throttle can add power without touching the hand throttle position - much like adding power to pass a slower land vehicle while employing the cruise control in your car. The rear seat occupant can taxi the Wizard via a second footbar, although the aft seat cannot actuate the nosewheel brake nor the foot throttle. For the front seat pilot, a nosewheel drum brake is controlled by the left foot pedal. No in-flight trim is available on the Wizard. Added in recent years to some deluxe trikes like the XP Racer (see "Pilot's Report - Air Création's XP Racer," August '97 UF! ), this feature adds versatility in setting speed and control bar pressure. Such adjustments are appreciated though not mandatory. To keep the price low and maintain the simplicity of a basic trike, AirBorne left off any trim system. However, you must have a fuel tank. Both the Executive and Wizard share a custom-made translucent polyethylene 10-gallon fuel tank, replacing the older aluminum tank. The new one is shaped so you can easily determine the remaining fuel quantity while in flight. You merely turn around from either seat and look at a portion of the tank which protrudes a bit from top to bottom. It worked quite effectively, without adding any cost. Just because the Wizard model is simple does not mean it doesn't have some of the Executive features. One example is the seats. The Executive and Wizard share the back brace for the front seat that allows the models to offer better back support than on many trikes. The Antares (see "Pilot's Report - Flying the Antares Trike," December '97 UF!) has a clever folding backrest setup that offers improved back support over trikes with no such accommodation. However, the soft support of the Antares cannot compare to the solid backrest of the Wizard. Flown dual or solo, the Wizard offers comforts that I appreciated. Soft and Gentle The Wizard excels in wheel suspension. In fact, both the Wizard and Executive are rare in providing full three-wheel shock absorbing systems. The nosewheel has both suspension and a steering dampener, the latter keeping the nosewheel from jerking about on rougher terrain. It worked quite elegantly and had the secondary benefit of keeping the nosewheel planted more securely on the ground, which made steering feel more precise. The main gear is suspended through the use of a bungee cord arrangement not dissimilar from many 3-axis aircraft, but rare among trikes. When combined with the nose gear system, the Wizard provided a smooth ride superior to most trikes I've flown. Not bad for a basic machine at a low price. The suspension system is for much more than comfort and precise steering, though. Besides bouncing you around less, the nose gear's trailing link construction helps to "self-straighten," says Hibberd. This makes landings easier by holding the nose where you point it, but Rob reports it was primarily developed to prevent rollover problems. With their higher center of gravity, trikes have been known to lose stability during poor landings. AirBorne believes their design will reduce that potential dramatically. Easy Going Despite these refinements and the allure of the simple nature of the Wizard, what most distinctively sets it apart in my mind is the improved handling. This comes mainly as a result of selecting a single-surface wing (the wing is primarily a single layer of sailcloth, rather than two layers - top and bottom - sewn together at the wing's leading edge and near the trailing edge), but also includes considerable experimenting with sail tension by AirBorne engineers. Rob explained that the underside keel strap (tensioning the center section of the sailcloth wing and altering its camber) had been adjustable during development. It is now fixed, but when it was adjustable, Rob said that with just 1 inch of additional forward travel, the wing proved much too roll responsive. Conversely, pulled back, you could stiffen up the wing such that if you bumped if off center, it would return to level flight quickly. After much trial and change, AirBorne found the optimal position and fixed all production models accordingly. They succeeded nicely. Roll rate was a significant improvement over the majority of trikes I've flown. Except for the Sabre single-surface wing (see "Pilot's Report - Sharp Sabre Trike," August '96 UF!) and Air Création's XP Racer, this is the first trike where I was able to initiate turns single-handedly while doing something else with my other hand. Three-axis pilots take such a situation for granted, but many trikes force you to use both hands to effect rapid control change (roll reversals, for example). For many operations and in any kind of turbulence, you still want to have both of your hands on the control bar of the Wizard. Rob called it "twitchy" and wondered if I thought it was too much so. At first I rather agreed, but subsequently I realized it was simply responsive enough that you could get into a pilot-induced oscillation (PIO). In no time, you'll acclimatize to the Wizard's greater responsiveness and afterward may find the handling of other trikes to be stiff. Certainly, I feel this way. Bringing Her Back Most trikes share landings that must be called "straightforward." Touching down in a trike is typically simple and easy. Likewise, takeoffs are quite simple matters. Nonetheless, most of them require you to make quick, small changes to hold a precise runway heading. All my landings went very well in the Wizard. However, on approach to landing some turbulence bumped me off course in a way that felt like the wing had some "momentum" whereby it would go beyond your target heading. This may be another manifestation of the PIO roll thing. However, while the Wizard shares that quality with many trikes, it took far less effort to return it to the chosen heading, and that was easy to appreciate. For some comparison, during airborne maneuvers, the Wizard was pretty cooperative about letting me turn toward a heading and come out as desired. On whole, I loved the Wizard controls, and for my money, I'd prefer this much-less-expensive model over the fancier Executive. Takeoffs were less enthusiastic than is typical for trikes I've operated recently. Here's why: The Wizard uses the 50-hp Rotax 503 dual carb 2-cycle engine and the single-surface trike wing carries somewhat more of a drag penalty than, say, the Executive. The more elaborate 582 model has an additional 15 horsepower and a smoother wing with the crossbar enclosed inside the upper and lower sail surfaces (hence "double-surface" wing). In the effort to hold the cost down, AirBorne selected the Rotax 503 dual carb. While the 503 is widely considered to be the best engine made by Bombardier-Rotax, it simply hasn't the push of the bigger powerplant. Also for cost reasons - with a side benefit of lightened handling - the single-surface wing is used. Personally, I like the choices. I am willing to accept less climb power for much lower cost and more responsive handling. Some pilots won't agree. With the smaller less-complicated 503, the Wizard ran quietly. It didn't seem to require excessive power to hold altitude, but since the tachometer was not working well, I couldn't verify efficiency very well. Normally I search for the lowest power setting that will hold altitude and compare that to many other designs to arrive at an estimation of how well the aircraft slips through the air. Idle thrust was a bit fast and the engine was not revving up all the way. Both conspired to increase the workload a bit, but these should be easily rectified. The main negative I can offer about the 503 with single-surface wing combo is that the climb rate wasn't too enthusiastic with two people aboard, though it was much better later when I flew solo. While the Wizard can outclimb a standard Cessna 150, most ultralights I've flown are stronger in climb. I showed barely 500 feet per minute as a two-up climb rate (AirBorne Australia lists the Edge X 503 Wizard's climb at 430 fpm at full gross weight of 948 pounds). One item needs clarification: In January's "1998 Ultralight and Microlight Buyer's Guide," specifications for the Edge X 503 included a couple of numbers (provided by AirBorne Australia) that are quite misleading. Takeoff and landing distances are listed as 722 and 827 feet. These are much longer than most other ultralights. In reality, and as required for the Wizard to earn Australian certification, the numbers include climbing to or landing from an elevation of 50 feetabove the airfield. On their own, they are solid and useful figures, but compare poorly to other figures in the "Buyer's Guide." (We asked for "takeoff and landing distances at gross weight" - not with a 50-foot obstacle to clear.) I did not measure these specs myself, but the Wizard easily breaks ground in under 100 feet and landings are only a shade longer. Certification Proven Most American sport pilots are not easily convinced that a certified microlight is appreciably better than a well-designed but not-certified model. I am among those pilots. Others find certification very important. Knowing an aircraft has passed someone else's rigorous examination is assuring. When I began my investigation of the stability profile of the Wizard, I felt quite sure I was in for no big surprises. This proved correct. In general, all stalls were quite mild. However, if I pushed the Wizard's control bar forward to full extension (the trike equivalent of full backstick) and held it there, it would oscillate or wander somewhat. These oscillations did not appear to dampen as readily as I might have expected, but neither did they worsen into an unpredictable situation. Such wandering notwithstanding, power-on and power-off stalls were very gentle in their behavior. Power-off, if I aggravated the stall by pulling in the control bar then pushing out again vigorously, the Wizard delivered a much more exciting stall. This is an easily avoided circumstance, and I only investigated to see the worst tendencies. Even when pushed, though, the AirBorne trike proved its certified nature in that it recovered successfully every time. I was satisfied. Steeply banked turns also went well. Overall, I have absolutely no complaints about the Wizard and its design stability. It is worth noting that all maneuvers were done at or near full gross weight of the Wizard, making for a valid test of the design. Had I repeated all the maneuvers solo, I believe I would have found milder characteristics. Time never seems to allow my typical hour-and-a-quarter flight evaluation routine to be done both dual and solo. However, I want to make one unusual observation. Rob Hibberd occupied the aft seat in a far more relaxed manner than most company reps with whom I fly. Pilot reports create a demanding flight mission; there's a lot to do. I can be inhibited by a nervous factory rep fidgeting while I stall and bank my way through an understanding of an ultralight I usually have never flown before. This is a principle reason why I prefer doing flight evaluations solo. Perhaps as a credit to the easy-going nature I've observed in Australians, Rob took my maneuvering in stride as though it were nothing unusual. It made for an easier and more enjoyable checkout. Of course, he also knows the design has been through a tough certification program and test pilots surely pushed the envelope much further than I did. Wade's the Name Since my review of the Executive a couple years ago (see "The AirBorne Edge Trike From Down Under," October '95 UF! ), AirBorne Australia has appointed a new U.S. distributor. Sam Wade is his name, and he hails from Texas. The owner of three video stores since '83, Sam has a hang gliding background and has worked with AirBorne's hang glider line for several years. When former trike representative Scott Johnson chose to leave the enterprise, Sam stepped in gradually and now provides support for AirBorne trikes in the U.S. Wade seems an affable fellow and answered my questions knowledgeably. His long background with AirBorne should prove a valuable asset to his company, and he is obviously a successful businessman. I've also known the Duncan brothers, Rick and Russell, since they were the "little Duncan brothers." That was, well, longer ago than I care to admit, but they cut their teeth in the world of competitive hang gliding, coming to the U.S. for hang gliding meets even before powered ultralights existed. That they've endured this long manufacturing hang gliders and ultralights (AirBorne Australia still does both) suggests they have figured out the business end of things and can build a quality microlight which has sustained them their entire adult lives. Should you get the chance, I recommend you call Sam and ask for more details on the trikes - either one of them. And when attending an airshow, go by and just listen to Russell or Rob sling that Crocodile Dundee lingo. It's fun, so are they, and so's their Wizard. Standard Features Weight-shift control (dual), foot/hand throttles, dual steerable nosewheel (push left, go right), rear-seat ground steering footbar, integrated drum nosewheel brake (front seat only, left foot pedal), instrument panel (ASI, altimeter), trailing link nosewheel suspension, bungee cord main suspension, solid backrest padded seats, 3-blade composite prop. Options Rotax 582 engine, Edge double-surface trike wing, Rotax E gearbox, electric start, pilot cockpit pod, side fairings, wheel pants, instruments (compass, tach, dual CHT, dual EGT, water temp), ballistic emergency parachute, after-muffler and air intake silencer kit, 4-blade composite prop, training kit, aerotow system. Construction Aluminum tubing, chromoly steel, bungee cord main suspension, polyethelene fuel tank, Dacron® sailcloth. Made in Australia. Pros - Simplified trike from earlier model - a rare but effective move: lowers cost and improves handling. Still a certified microlight as required in Australia. Well-developed; no surprises await buyers. U.S. representative helps import and provides parts. White finish looks clean and light. Cons - Trike brands don't differ greatly and neither does this (except it's simplified over many imported trikes). Performs better solo. Openness won't appeal to all buyers and doesn't cut it in cold climates. Pros - New fuel tank custom-shaped to offer easy quantity check while flying. Brake - on nosewheel only - is quite effective (perhaps due to nose suspension). Hand and foot throttles provided to give pilot more choices. 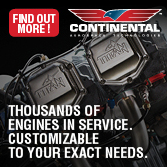 Easy access to all components needing maintenance. Very easy breakdown. Clean refueling. Cons - No trim and no flaps (as is common on many trikes) means all speed and approach control are manual via control bar. No ground brake control from aft seat. Sparse radio mounting opportunities. Simple aircraft has few systems. Pros - Entry can't get much easier, certainly to the front. Seats have excellent back support for front pilot - not common on trikes. Well-padded comfortable seats. Cargo space in aft seat if flown solo. Good pilot restraint system. Wind noise not bad as single-surface wing flies slower. Cons - Rear seat entry includes some step up (though still easy). Seats do not adjust fore and aft. No cargo space if flown dual (except if you add side bags or other storage area yourself). Can't reach instrument pod with belts secured. No cabin protection for cold climates. Pros - Excellent nosewheel arrangement: brakes, suspension and trailing link stability - all purpose-designed to prevent rollovers, a potential problem on some trikes. Suspended rear wheels, making absorption the best I've seen on a trike. Superb maneuverability (as on most trikes). Tight turn radius. Cons - As with all trikes, some muscle needed to steady wing in any wind. Upward visibility limited to check pretakeoff traffic. No other negatives. Pros - Wonderful visibility once in the air; true for all directions except directly overhead. Little precision needed to make good liftoffs or touchdowns (once you know the technique). Retains energy surprisingly well for a single-surface wing. Cons - Climbout is limited with two good-sized persons aboard (assuming standard 50-hp Rotax 503 dual carb engine and single-surface wing). Approaches in gusty wind conditions will require attention and exertion to maintain a precise heading. Three-axis pilots generally are puzzled by the liftoff swing of a trike (as carriage orients under wing). Pros - Handling is much improved - by using single-surface wing - over most other trikes. I was able to initiate turns with single hand (not possible with stiffer trikes). Response is quite fast. Muscular effort is modest. Turns coordinate easily with a little push-out (the trike equivalent of backstick). Predictability is good. Steep turns went well. Cons - Lack of discrete 3-axis controls means crosswind landings require a different technique (angling across runway). Hard to be precise in turns to headings in stronger conditions. Controls are lightest when flying solo. Control harmony cannot be improved much with experience (though stock harmony isn't bad). Pros - Sprightly performance when single-seat flying. While not fast, the trike with Wizard wing delivers loads of fun flying in the slower speed range that many ultralighters prefer. Good endurance with popular 503 engine and 10-gallon fuel tank. Single-surface wing offers a good sink rate, though glide is only average among ultralights (AirBorne offers a higher-performance wing - the Executive model). 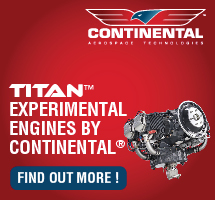 Cons - Performance suffers a bit when dual at higher payloads (with 503 engine). Climb is not strong when flown dual: under 500 fpm. Not a fast-flying machine; if that's what you want, try AirBorne's Executive model with stiffer double-surface wing and bigger engine. Pros - Power-off, power-on and accelerated stalls all recovered easily. Steep turns went well even at or near gross weight; plenty of "stick range" was available. Spins are probably hard or impossible to enter with this wing. Good longitudinal stability. Throttle response was normal and proper (nose-up on power-up). Cons - If held in a stall, oscillation followed. Aggravated stalls got fairly exciting (though recovery was never in doubt). Adverse yaw present and lessened only with more aggressive push-out (typical trike coordination technique). Spins not attempted (no parachute fitted). Pros - Fully-assembled ultralight means immediate flying. Australian certification should be confidence-inspiring, as program is quite demanding. Very competitive price at $11,700 ready-to-fly - and this includes the very popular Rotax 503 dual carb engine (not included: import shipping at $700). Excellent suspension should make rough-field operations easier. New model can be upgraded to top-of-line version. Cons - U.S representative is new, taking over from previous distributor. Trikes just aren't for everybody and limited (although growing) U.S. acceptance may increase the time needed to resell later. Training is still in sparse supply. Single-surface wing cannot offer performance of top end models. For years now, the boys from “down under” at AirBorne Australia, led by co-owner Russell Duncan, have been coming to America. The ultralight they have been showing is the deluxe Edge Executive model. It’s a beauty, but the company lacked a simpler, lower-cost model. No more! In April of last year, Duncan and crew debuted what they call the Edge X Wizard model. The “Edge X” series refers to the new trike carriage, above which you can have the double-surface Edge wing, making the Executive trike, or you can select the new single-surface Wizard wing. It is this new offering that is the focus of this pilot’s report. Smoothly finished in all-white powder coating, and lacking the nose pod and aft fairing, the new Edge X trike carriage looks light and basic. At only $11,700 fully assembled, it should find a market in the USA, I feel. (The figure is complete in every way except for an import shipping charge, which U.S.
SEAT BACKING - Both seats of the Edge have a solid backrest, unlike most trikes whose forward seat back is not well supported. The backrest folds forward to ease rear entry. CUSTOMER FIRST - When an instructor takes a student aloft, he helps the student get belted in properly, then performs this maneuver to enter the rear seat. SUSPENDED GEAR - Unusual on trikes, the deluxe Edge has suspended main gear, using an easily-inspected and familiar bungie system. BORN TO RIDE - Instructor Rob Hibbard (rear seat) and UF! magazine editor-in-chief Scott Wilcox show the ready-to-learn position. DEE-LUXE - Typical of the very best in trikes, the AirBorne Edge is a nicely finished, certified ultralight from the Duncan brothers in Australia. TRIKES STRIKE - Set down, wing into the wind, a trike strikes quite a different pose than a common 3-axis ultralight tied down against the wind. AirBorne builds both the carriage and the wing. LONG GRIPS - This AirBorne Edge uses a set of well-braced extended handles, allowing a rear-seated instructor to work with a student. They don't interfere with the front pilot's movement of the control bar. INSTRUMENT PANEL - AirBorne dresses up the Edge comparable with the best of the European trikes. Quality craftsmanship is evident throughout. Note the very nice gimbal-suspended compass in recessed area of the panel, and the nosewheel steering bar connected for dual control operation. AirBorne Windsports is no johnny-come-lately to the ultralight flying scene. The Australian company has been making hang gliders for the international market for years. AirBorne's owners - Russ and Rick Duncan - once flew for Moyes Delta Pty., another Australian hang glider company (now known for its Moyes-Bailey Dragonfly aerotug), but later branched out on their own. While both men are thirty-somethings today, they have long experience, starting with competition in hang gliders back when folks still called them "the little Duncan brothers." They were hot pilots at a young age. Later on, they proved to be solid competitors to the Moyes juggernaut. Then Came Trikes A divergence occurred. After linking up with Florida designer Bobby Bailey to produce the 3-axis Dragonfly aerotug, Moyes's interest in trikes fell by the wayside. They focused on the already popular Dragonfly for their towing promotion. Meanwhile, the Duncans - now on their own, producing hang gliders - engaged in building trikes. Even this started several years ago, and the Edge model I flew this past spring was a refined entry. Thanks to a hard-working U.S. importer, Scott Johnson of U.S. AirBorne, the Australian manufacturer is beginning to have a bigger U.S. presence. AirBorne sent a group from Australia for their Sun 'n Fun '95 promo effort. They joined up with Johnson, and made quite an impression at the Lakeland, Florida airshow. Aggressively pursuing intro flights with sales prospects, each day brought long hours of ample exposure in their machines. Everyone who noticed had to give the "AirBorne guys" credit for hard work. I was especially pleased to take my flight with Rob Hibbard. Both Rob and I write monthly columns for the German magazine giant, Fly & Glide (formerly titled Drachenflieger). After years of seeing his name in print, it was a pleasure to meet Hibbard. Flying with him proved equally delightful. AirBorne remains a dual identity company, still very actively engaged in both hang gliding and triking | different markets all over the globe. But AirBorne's trike and hang glider production are done at the same place. Russ Duncan handles the trike end of the business, while Rick focuses more on the hang glider end. Foreign Certification Attesting to the long time that they have been part of the international ultralight scene, many imported trikes have full airworthiness certificates issued by the government or a government-sanctioned organization. While this is laudatory, it does increase the cost of these machines. And so does the fact that they aren't kits - they come almost fully-built, with minimal assembly required. However, you get a lot for your money, perhaps the main thing being an awareness that the whole aircraft has been put through a tough testing regimen. 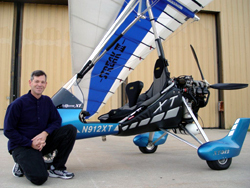 Many pilots believe trikes are unusual aircraft. So do the authorities in the foreign equivalents to our FAA. The officials require the trikes to pass most of the same tests as any 3-axis design, though clearly some procedures had to be changed. For whatever costs it brings - increased selling price, the feeling of government intervention, longer development times needed to pass a series of tests - certification also brings peace of mind. Rob Hibbard admitted privately that the Edge is overbuilt to assure meeting Civil Aviation Authority standards. Most buyers won't mind hearing that. In the last year, the Edge has had a series of improvements to the previous model. The seats were changed to improve comfort. AirBorne has increased the overall height of the seat frame and added an upholstered back support with solid bases and much more padding. Fore and aft adjustment was provided to accommodate pilots of differing heights. Finally, more room was added. To get the extra room for the seat, AirBorne moved the mast/engine aft of the compression struts. The net effect was a lightening of the nosewheel load, which in turn brought a nice result. The nosewheel comes down slower on landings, generally easing flare timing and making for smoother landings. AirBorne also added a remote choke, permitting easier starts by allowing you to adjust the choke more precisely. Another change was the move to Rotax's E-type gearbox and electric starting. "The engine can be started on the gearbox end, which puts far less load on the crankshaft than the earlier system," says AirBorne. The Edge uses a suspended gear via bungie cords, which are visible and therefore easily inspected during preflight. AirBorne believes their machine is Aussie-tough. They advise dealers: "If your customer asks you to prove this, have them stand on the pod or a spat (wheel pant). They won't break." Not many airframe producers encourage this form of fiberglass abuse. 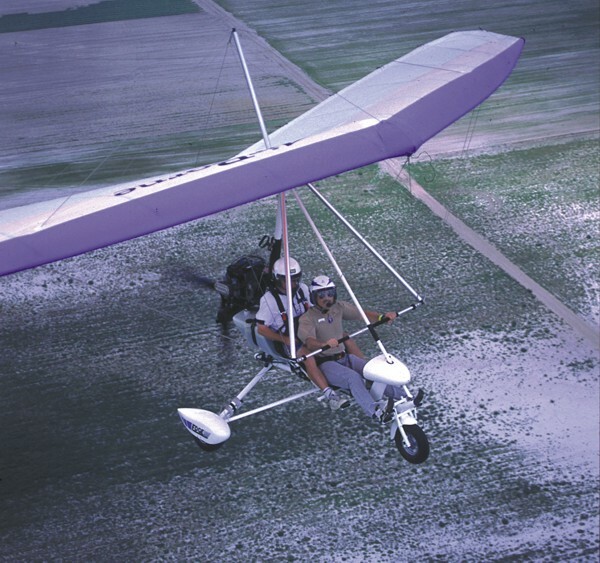 Like many trikes, AirBorne's Edge can perform aerotowing duties for hang gliders, or ultralight sailplanes like the Swift or SuperFloater. The tow point is on the aft side of the propeller, making for an uncomplicated mechanism. As the tow linkage passes through the hollow shaft of the prop hub, the pulling force is exerted in precisely the correct line so as not to disturb flight operations while towing. The overhead connection to the wing offers two positions to better adjust for a correct CG loading. Flying 2-place, we used the forward position. A heavy-duty strap offers a redundant connection in the unlikely event the mast bolt lets go. Open but Deluxe "Cabin" The Edge, like all the world's best trikes, is relatively open. While some protection is afforded by the nose cone and side fairing, trikes must remain out-in-the-air aircraft, as the control bar movement cannot be restricted by enclosures. Though some creative ideas have been seen in Europe, most trikes closely resemble the Edge in terms of fairings or enclosures. For all regular production trikes, a full-face helmet is advised. Open-air seating doesn't mean trikes are simplistic aircraft (although American trike producers have leaned toward more basic machines). For example, the Edge has a dual foot-pedal arrangement, allowing nosewheel steering from either seat. A hand throttle is mounted where either pilot can reach it on the right seat frame. However, only the front-seat pilot has the foot throttle. The hand throttle overrides the foot throttle, giving a rear-seated instructor control over a student who might back off on the throttle at the wrong time. Of course, the control bar is shared by each occupant when a student sits up front. Generally on trikes, the rear seat occupant must stretch to reach. However, AirBorne addressed this by fitting the Edge with control bar extenders that give the rear-seat pilot an excellent grip on the bar while the student holds the control bar basetube as though no one else were helping. The forward seat's innovative seat back - a big help when flying the machine solo - folds forward to allow entry to the rear seat. Entry is easier than it looks. If an instructor and student are to fly, the instructor generally seats the student up front. After assuring he/she has the seat belt properly fastened, the instructor steps on a side frame member and swings the other leg around the student. While doing so, the instructor can put plenty of weight on the forward support tube, a beefy part that can hold the load without problem. With instructor backup via his own pedals, a student can quickly figure out the steering scheme. Best taxied from the front, the Edge - like nearly all trikes - relies on a foot throttle. Only the front seat pilot has access to this foot throttle, which makes ground handling easier from up front. (Adjusting power by the hand throttle while taxiing is not workable, as you must use both your hands on the control bar to steady the wing.) While it's true your hands and feet are all busy, you can taxi a trike in more congested conditions easier than a fixed-wing design. As Hibbard and I taxied out, we used this capability. Lifting one side of the trike's wing high, we wove our way out of a gaggle of parked ultralights. In a fixed-wing design, it would have been necessary to stop and move the other ultralights first. Flight on the Edge With two aboard, the Rotax 582-powered Edge is a lively machine. Rob demonstrated the first takeoff (always fine by me), and he got on the throttle aggressively. The Edge bolted forward, ran about 150 feet in an accelerating pace, and leaped enthusiastically into the air. Almost immediately after adding power - via foot throttle, as his hands were occupied with guiding the wing - Rob liberally pushed the control bar forward. This is standard trike procedure, and it works well. A forward support tube prevents pushing out too far, while giving you a fixed reference as to the extent of your control bar movement. Remember, 3-axis pilots: control bar forward is the same as weight back, which equates to stick back. As if to reassure me about this technique, Rob and I continued outside the pattern with some stalls. The first one was while we still had full power and were still climbing. He slowly eased out the control bar till it touched the forward support tube. Holding it there - the same as full stick aft in a fixed-wing ultralight - the Edge kept right on climbing in a most civil manner. With several previous trike flights under my belt, I wasn't surprised by this performance, especially from an ultralight that underwent a thorough Australian government certification program. Nonetheless, it feels good to fly an ultralight with the benign flight characteristics of the AirBorne Edge. The Edge isn't particularly fast. I've flown some European trikes that have optimized cross-country flying. Some will slip along at speeds faster than 100 mph. At those speeds, the wind feels like a back alley brute beating on you. The Edge was clearly more comfortable. Though the Edge likes to fly at 50 mph, it'll go much faster. Vne is over 80. Yet she seems to prefer 50 to 55 mph and is a friendlier machine to fly at these speeds. Of course, trike speeds have little to do with the carriage and almost everything to do with the wing. As in all aviation, the airfoil section is one of the prime determinants of speed range. The Edge wing obviously prefers to optimize mid-range speeds (which agreed perfectly with me). Climb is listed at 770 fpm, but I'd say this is slightly conservative. Perhaps a function of gaining certification, I found all the AirBorne brochure numbers didn't overstate performance. Performance of a machine is not limited to speeds, climb rates and glide angles. Also included are such things as its quietness, a subtle form of performance that makes the machine more enjoyable (tolerable?) for occupants and those below. The Edge was fitted with the latest in noise silencing equipment; the machine was surprisingly well-muffled. Though the Quiet Kit will add $300 to the bottom line, the value is obvious in a short time. Mystery and Beauty Weight-shift trike flying is a thing of mystery to most 3-axis pilots, but it becomes a thing of beauty once you learn it. Weight-shift is arguably the most intuitive way to fly. We all think that pulling a stick is logical, but in fact, this is a learned response. Stick back moves the elevator up which causes a tail download which then raises the nose. This is logical? To raise the nose in a trike, you add your weight more aft. I find this more logical. Coordination in a trike comes when you add push-out to a bank. Of course, this is again the same as back stick in turns. Using something called a J-stroke, you roll into a turn by pulling in a bit (adding speed), then move the control bar left or right, followed by pushing out. The reason why trikes may yet proliferate in the U.S. market is due to an increasing number of training schools where you can go aloft with an instructor and acquire these bar movement skills. Gaining confidence in the Edge trike comes quickly after a few stability maneuvers. To verify the full-power stall Hibbard had demonstrated earlier, I repeated the control bar movement, but very briskly this time. At cruise speed, I added full power and pushed the bar in one swift movement until it contacted the forward support tube. Even held in this position, the Edge refused to stall, to fall on a wing, or to misbehave in any way. Quite impressive. Although power-off stalls will break - at least when done quite aggressively - the action is anticlimactic. The natural tendency of the trike suggests that even if you continue to hold the control bar full forward, it will attempt to relieve the stall and resume flying all on its own, and with remarkably little altitude loss. The throttle responds normally, raising the nose on power up and dropping it gently on power down. Likewise, changing the wing in pitch brings a quick return to level flight after only the briefest period of oscillation. In gentle rolls, the trike is probably more stable than most fixed-wings. However, once rolled to 35° to 45°, the trike becomes moderately spirally unstable like nearly any aircraft. Break the Piggy Bank The advantages of a trike enumerate quickly, and these items are true for nearly all brands. After the generic list, you must consider which particular brand creates the package you like best. Trikes fold up quite small - a leading reason for their huge success in space-tight Europe - and can be carried easily. The wing can go on a simple roof rack, while the trike carriage is carried on a small utility trailer (better than a big box trailer in windy conditions). If you have a pickup truck, it is quite possible to carry the whole package without a trailer. Some trikes actually fold up small enough to fit in the trunk of a larger car. Trikes handle turbulence well, even if they're deficient in crosswinds. So as long as you've got wind choices, these machines will fly well in more active conditions, theoretically gaining more flying for you. Trikes can be repaired after mishaps easier than many kit-built ultralights. And they have another attribute: When the manufacturer offers an improved wing, you can easily upgrade. Think of that when your wing sails take their limit in UV degradation. Changing wings is also a way to change the way your machine performs, and you can swap back and forth if you want. All these choices may require you to stay with the same manufacturer, however, to be sure flight characteristics don't vary. Now, more specifically, the Edge is a well-equipped model, and indeed, the feature list is impressive. As standard, AirBorne includes the liquid-cooled Rotax 582 engine. The fuel tank is a 12.7-gallon alloy container that should hold up well. Fat, tough tires fitted over 6-inch alloy wheels and wheel pants (or spats in Aussie-speak) come standard, as does the pilot "enclosure." U.S. importer Scott Johnson of U.S. AirBorne offers an Edge "fully loaded with aerotow and all options plus shipping [for] about $19,500." Before you recoil at the size of that number, remember this is for a ready-to-fly, fully outfitted, deluxe aircraft with full Australian CAO 95.32 airworthiness certification. Many European trikes with comparable features will run several thousand dollars more. Installed into the forward fairing is an instrument panel. AirBorne provides an airspeed indicator, altimeter and hourmeter - normally optional items on most ultralights - which will save you $300 to $500. On a lower budget, you can select a base-model Edge for about $15,500, plus shipping. Reasonably well-equipped, the basic Edge model is still certified and fully built. 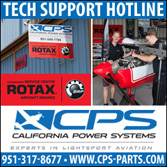 Lowering the charge even further is a Rotax 503-powered Edge for just over $14,000, plus shipping. Among options, the electric start is "already proving very popular," says AirBorne. This elegant starter system will add about $900 to the tab. Other options include control bar extenders for $215, the Quiet Kit for $305, an aerotug kit for $508, and a wide selection of engine instruments for $525. Take a Flight on the Edge No matter your background, trikes as a concept deserve another look from even dyed-in-the-wool 3-axis pilots. They're fun, solidly built, and very stable flying platforms. Among trikes, the Edge is a superior ultralight that you should look at closely. My bet is you'll enjoy an introductory flight with a qualified dealer. You might even want to join the growing ranks of trike pilots with your own "Flight on the Edge." Pros - Fully certified in Australia, a rigorous program. Built and stressed to +6 Gs. Nicely achieved ultralight that looks professional and inspires confidence. Follows well-proven European trike lead in most ways, but shows its own unique qualities. Can carry a large load for its empty weight. Strong and stable flying platform (in spite of what some pilots think). Comes as a fully-built ultralight. Seats two occupants very efficiently. The Edge is built with a distinctive "Aussie touch." Cons - Trikes have yet to prove significant market acceptance in the U.S., though this could be changing. Were it not for the acceptance issue, trikes like the Edge could find a strong U.S. market. Close tandem seating won't appeal to everyone. 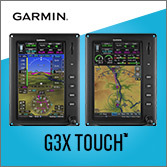 Aspects of design are not in 3-axis pilot's "comfort zone," that is: tailless, weight-shift, flexible-wing design. Pros - Among trikes, only a few are more deluxe. First trike I've flown with adjustable trim. Good tactile response from trim wheel, which adjusts by increasing or relaxing trailing edge reflex. Beautiful compass installation; best yet? Fitted with electric start and silencers; quite quiet. Brake on nosewheel is above-average effective. Dual throttles work well; friction hand lever overrides spring-loaded foot lever. Excellent repair access of upright engine. Smoothly integrated fuel tank with quantity indicator. Cons - Nosewheel-only braking might affect steering under some conditions. No other negatives. Pros - Fiberglass nose cone blends to fabric enclosure with pockets and padding. Seats more comfortable than many trikes; solid front seat backrest is unique and appreciated. Entry is quite unobstructed to both seats. Rear seat control arms make the reach much better than most trikes. Panel easily read (front seat only). Moderate speeds of Edge made cockpit more comfortable than faster trikes. Tying one side of the wing down into a wind works very well to secure whole craft. Cons - No shoulder belt for forward pilot (though rear belt okay). "Windscreen" only for looks and perhaps a bit of shading for instruments. Raked instrument panel hurts rear-seat readability. No fore/aft seat/pedal adjustment. On the ground, rear-seat occupant's helmet may touch vibrating mast; not a problem in air. Very limited baggage area if both seats occupied. Pros - Wide tires all around give a well-supported feel and offer extra suspension. Bungie suspended main gear softens bumps. Each seat has full nosewheel steerability. Excellent visibility, even without moving a wing out of your way. Tight turning radius possible. Taxiing shows trike flexibility via wing movement. Though I don't care for wrong-way steering, the Edge nosewheel wasn't skittish like some lightweight trikes. Cons - Wrong-way steering is | well, a trip! It's not quite as weird as it seems, but it's close. It may be all that's wrong with trike ground handling, though not needed much on takeoff. If taxiing in strong crosswind, muscular strength required to hold wing steady. Pros - Trike takeoffs look weird, but aren't at all. You have to experience it to believe it. Touchdown is very controllable, thanks to responsive pitch control (without being touchy). Visibility is huge on landing. Bungie suspension and beefy tires offer a uniformly smoother touchdown. Energy retention in ground effect is quite strong. Cons - Takeoff visibility lacks a bit directly in front of you (due to pod and high carriage angle). Fast touchdowns demand steadiness of nosewheel movements. Crosswind capability is weak if you can't land on a runway angle. No ability to slip. Takeoff roll on heavier Edge longer than expected. Pros - Don't let that "reversed control" thing bother you; it's easily learned and more intuitive than you think. No adverse yaw (no ailerons to induce it). Harmony comes rather naturally to trike controlling; you move yourself back in a turn and turn coordinates. Using this control, steep turns are beautiful. Roll rate is adequately brisk. Cons - In spite of the easy-to-learn control bar movement, the "reversed control" prevents some pilots from accepting trikes. Precision turns to headings better than some trikes, but still less precise than 3-axis aircraft. Crosswind capability is lacking. Roll control pressures are on the high side. Pros - Good performance in several parameters: climb is strong, glide is stronger than average ultralights (11-to-1 factory says), low-rpm efficiency is quite good. Flight at reduced power is surprisingly quiet. Slow flight is an easy regime in which to operate the Edge, which makes it enjoyable in close-to-the-ground flight. Cons - The Edge isn't as fast as some trike designs (which didn't bother me, but which may be a negative for others). Takeoff roll is on the long side. Pros - Stability - where some think trikes look deficient - is actually a strong suit. Australian certification assures you the Edge has met tough standards. Pitch and roll stability are excellent. Throttle response produces the desired effect, as does the pull/push-and-release exercise. Stalls were nonevents. Power-off stalls broke, but very mildly; power-on stalls didn't. No adverse yaw present. Cons - No negatives discovered. Pros - AirBorne's Edge is an excellent example of the state-of-the-art in trikes. Possessing Australian certification will reassure many buyers. Nicely achieved construction; quality hardware throughout. The trim device works and is appreciated. The rule with trikes is you must fly one to understand their ease of operation. If you take a couple hours flight instruction, you'll quickly learn to master the machine. Stable flying platform offering excellent visibility. Easy to ground handle and park. Cons - rikes still haven't won a large American following; this may only affect you if you want to sell one. Controls are unorthodox to 3-axis pilots, and they require more muscle than most pilots expect. Prices seem steep (unless you recall they're fully-built and have certification). AirBorne Windsports is no johnny-come-lately to the ultralight flying scene. The Australian company has been making hang gliders for the international market for years. AirBorne’s owners – Russ and Rick Duncan – once flew for Moyes Delta Pty., another Australian hang glider company (now known for its Moyes-Bailey Dragonfly aerotug), but later branched out on their own. While both men are thirty-somethings today, they have long experience, starting with competition in hang gliders back when folks still called them “the little Duncan brothers.” They were hot pilots at a young age. Later on, they proved to be solid competitors to the Moyes juggernaut. Then Came Trikes A divergence occurred. After linking up with Florida designer Bobby Bailey to produce the 3-axis Dragonfly aerotug, Moyes’s interest in trikes fell by the wayside. They focused on the already popular Dragonfly for their towing promotion. Meanwhile, the Duncans – now on their own, producing hang gliders – engaged in building trikes. AirBorne's fully outfitted XT model is powered by a Rotax 912S engine and uses AirBorne's double-surface Streak II wing. The Outback's simple pod houses needed instrumentation, including AirBorne's specially built airspeed indicator showing VNE's for its three wings models, the Streak, Edge, and Wizard. The tandem two-seat Outback's simple air frame makes it a lighter-weight machine than the dressed-out XT model, however, the aircraft's performance is equally satisfying. AirBorne's Redback trike poses in front of the AirBorne factory near Redhead, New South Wales, Australia. The Redback offers trike flying in its simplest, lightest form. The Outback S model (above, top) uses AirBorne's higher-performance Streak II, double-surface wing with a Rotax 582 engine. The basic Outback is sold with AirBorne's single-surface Wizard wing. AirBorne's Outback trike has all the essentials Light-sport aircraft (LSA) are on the minds of many would-be sport pilots, especially now that the proposed rule has advanced from the Depart-ment of Transportation (DOT) to the Office of Management and Budget (OMB) for its last review. But the big-picture view of these airplanes is complex. Yes, we'll have sleek im-ported machines like the CT2K, G3 Mirage, SkyBoy, or SportStar, but we'll also have much more. We will also still have popular American-made machines like Zenith's CH 601, SkyStar's Kitfox, Quicksilver's MX or GT series, RANS' Coyotes, Quad City Ultralight's Challenger, and more. And we'll have trikes, powered para-chutes, gliders, airships, gyros, and who-knows-what-else. The new LSA category actually represents a virtual zoo of different aerial animals. The fiberglass or metal versions that may enter our market from Europe are but the upper end of the spectrum, in both speed and price. Trikes, in particular, may be one of the earlier qualifying entries. They enjoy worldwide acceptance, are eas-ily repaired, and cost less. Most importantly, some models are al-ready certificated in many countries. Those certification efforts may help those trikes win some of the first ap-provals under the new FAA rule. AirBorne Australia's Outback is one of those already certificated trikes that may be among the first to gain light-sport aircraft status. It's a simple, economical machine. While AirBorne has built hundreds of trikes of varying complexity, including the AirBorne Edge XT, which shows it can design and build a big rig with excellent attention to detail, why wouldn't you suppose AirBorne could build and certificate an equally re-fined simple trike? The lovely and exquisite XT model with its powerful four-stroke Rotax 912 engine defi-nitely looks like it should pass the LSA test, and you should feel simi-larly when you look at the Outback model from down under. AirBorne is a company wanting to sell trikes, and more models fitting more customers is the way to do so. Some pilots feel you can't have too much power on an aircraft. Of course, any qualified designer will tell you otherwise. The airframe simply must be matched to the powerplant, and the overall design created around a certain power range. Much like a V-8 engine in a VW Beetle, a four-cylinder, four-stroke, liquid-cooled engine powering a trike seems like, well|too much. Indeed, after my first launch in AirBorne's XT 912, I never again took off with full power. It just isn't neces-sary, and the use of full power demands greater attention. Then, of course, there's the issue of money. A four-stroke-powered deluxe trike runs well more than $30,000-the Rotax 912S engine by itself, with its price fluctuating with the Euro, was about $13,000 when I last checked in early 2004. Comparatively, the 65-hp, 582-powered AirBorne Outback was selling for a bit more than $18,000 in January. Given its level of quality construction, its Australian certifica-tion, the support of a respected manufacturer, and professional rep-resentation in the United States, the Outback represents a good value. Likewise, it should have no problem meeting the LSA standards. Available for even less money- yet with the same government seal of approval-is the Redback, a simpler-yet version of the Outback using a Rotax 503 engine. It is 10 pounds lighter than the Outback and sells for less than $15,000 using the Wizard III wing. Given the weakening dollar, Air-Borne Australia announced price increases in the new year. Before you commit your budget to any imported machine, you'll want to check the latest exchange rates and prices. Simpler by Design Simpler doesn't mean less capable. Nor does it mean there's been any scrimping on hardware. It may mean there's less of it, and that's not neces-sarily bad. But, generally, it means a lower-cost, two-stroke engine. AirBorne does not feel the lower price tag of the Outback means you'll get any less value from your pur-chase. The company promotes Outback as "the most versatile trike on the market today." The Outback's design is based on the certificated Edge X model. A 65-hp Rotax engine coupled with a lightweight instrument pod and few other adornments "allows the pilot to use the Outback in a range of dif-fering terrain depending on the options that are added," says the company. It believes the wide-tire tundra op-tion (not evaluated for this article) allows for landing in harsher-than-normal terrain (compared to the standard undercarriage). 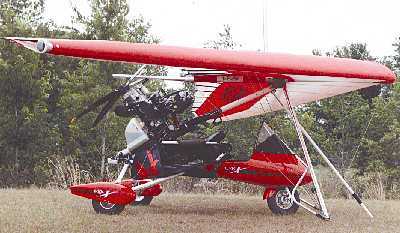 AirBorne re-ports that trike pilots in Alaska have been using the tundra option suc-cessfully for years. That option works equally well on sand or packed snow, although snow skis are also available to fit the Outback. AirBorne's also investigating floats as an option. It has experimented with the Outback on Krücker and Antares floats. Initially, the company has been happy with results. My own experience of flying a Wizard II wing on an AirBorne Edge trike atop Antares floats last spring in Alaska was positive. The Ukraine-made floats are imported into the United States by Antares trike designer Sergey Zozulya, who lives in Alaska. Antares floats are built from fiber-glass and marine plywood. A hydrodynamically efficient design al-lows them to quickly get up on the step for quick takeoffs. Flown dual or solo, I found little difference in water operations. A single rudder made for secure water taxiing. "Our floats can be mounted on any trike in minutes. They come with stainless steel, titanium, and aluminum hardware for easy installa-tion," says Sergey. "On the AirBorne Edge trike, or the Outback, Antares floats can be mounted in approxi-mately 20 minutes, and no modifications are required to the trike itself. The front yoke bushing mounts directly to the keel tube by using existing holes. The floats are at-tached to the mounting brackets with rubber bushings." The Outback coupled with the Wizard wing is great for floats or skis as it lifts the aircraft off the ground quicker. The large, single-surface wing is also an excellent choice for a hang glider tug according to Air-Borne factory representatives, and it's been proven by towing the com-pany's own hang gliders aloft. If this interests you, AirBorne can supply all the necessary hardware. Want Even More? For those who want greater cross-country speeds but like the simpler trike, an Outback S model has the same features as the basic Outback, but it comes with AirBorne's new Streak II wing instead. However, the Outback S is not recommended for landing on rough terrain because of its higher landing speeds. AirBorne's trike wing line is now focused on the Streak II wing atop the XT and the Wizard III lifting the simpler and lighter Outback and Red-back models (though you can mix and match to some extent). These two wings are dramatic comparisons, with much different speed ranges. Regardless of which AirBorne trike or wing interests you most, all are built to demanding standards and exhibit excellent quality. Perhaps it was merely the noise-deadening Lynx headset and intercom system AirBorne lent me, but when I taxied the AirBorne trikes, they seemed exceptionally solid. Un-like some other light aircraft, nothing creaked or groaned as I maneuvered on lumpy terrain. In its base form, the Outback is powered with the Rotax 582 produc-ing 65 hp mated to a Rotax C-type gearbox. AirBorne likes the Brolga four-blade prop and offers an exhaust with ceramic coating, which should prevent ugly discoloration after a few hours of heat flow through the pipe. A black instrument pod, called a "binnacle" in Australia, can hold a variety of instruments, and AirBorne includes an airspeed indicator, al-timeter, hour meter, tachometer, and exhaust gas temp and water temp gauges. More instruments are avail-able under option. (For those curious about words, binnacle is a case that supports and protects a ship's compass.) The Outback comes with a front wheel drum brake that includes a parking brake feature plus an 11-gal-lon fuel tank. AirBorne advises that the R-582 on the Wizard burns 2.6 to 3.1 gallons per hour. The cockpit of the Outback lacks a nose pod, but this affords you an even wider view. Given the slower Wizard wing, I enjoyed the openness of the Outback compared to the full-pod and blazing-fast XT 912 model. Seated astride the trike, an easily reached choke is to the left. One hand-operated throttle is located un-der the right knee of someone in the back seat, otherwise the forward-seat pilot uses the foot controls common to most trikes: throttle on the right, brake on the left. hand-operated throttle is located un-der the right knee of someone in the back seat, otherwise the forward-seat pilot uses the foot controls common to most trikes: throttle on the right, brake on the left. No Need to Streak The Streak II wing has a trimmer and makes good use of one. The Wizard III wing does not have one nor is it needed. Its lighter pitch handling makes the extra weight, complexity, and cost of a trim system less worthwhile. AirBorne's Streak/XT uses a 60 mph approach speed to landing. If you pull the bar in as you do when landing many trikes, you'll end up flying 80 mph. Not so on the Wizard III/Outback combination. Unless you're determined to make some long trips in your AirBorne trike, the Wizard will provide plenty of speed. It'll cruise at 45-50 mph and can carry you 200 miles if you have the time. While AirBorne's speedy XT/Streak combination floated well down the runway, the Wizard/Outback combi-nation showed less retained energy. Of course, this is partly because the Wizard/Outback trike approaches considerably slower in the first place. If you're willing to give up some speed, you'll be rewarded with light and pleasant handling. AirBorne has done a masterful job of lightening control pressures on its Streak II wing, but it still can't com-pare to the roll-in/roll-out ease and general lower pilot muscle require-ments of the well-refined Wizard, now in its third design iteration. In reality, the Rotax 582-powered Outback chassis with a Wizard sin-gle-surface wing felt nearly as powerful as the awesomely powerful XT 912 with Streak II wing. This may have been because Outback's chassis weight is much less on this simpler model and the wing is a higher lift design. Outback tips the scales a full 90 pounds less than the XT. Contrary to popular opinion, Air-Borne reports the Rotax 582 on the Outback/Wizard gets slightly better fuel economy than the XT's 912S (roughly 3 gph versus 4 gph). Of course, it depends on how you use the engine. A lightweight trike might use lots of power zooming up, down, and around the local area, whereas an XT 912 would of-ten be used for straight and level cross-country flying. Proper and Professional AirBorne is a company that has earned a reputation for quality hardware and well-built trikes. It has also earned approvals from the Australian Civil Aviation Safety Au-thority (CASA) for all its trike models. CASA administers a strict program, and buyers can be assured AirBorne aircraft have met a tough standard. The company proudly proclaims, "The Outback is Aus-tralian Civil Aviation Safety Authority Approved and tested to 6g positive and 3g negative under strict government control." 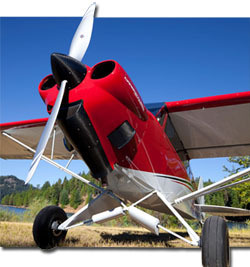 Part of CASA's certification pro-gram includes issuing airworthiness directives (ADs) when needed. AirBorne's Rob Hibberd says the company puts any airworthiness di-rective up on its website and sends copies to dealers. He continues, "I would like to educate our customers to keep an eye on the website for di-rectives. It is the most efficient notice board since everyone knows someone with a computer. We were thinking about a database solution for people to update change of own-ership; however, this is less reliable as aircraft change hands and we don't get notified, especially with older planes." Rob asked that I sug-gest in pilot reviews that it is recommended to regularly keep an eye on the AirBorne website for this reason. The company plans to reinforce this communication effort in future advertising. All products can have problems from time to time. In avi-ation, ADs affect aircraft from NASA and Boeing designs to hang gliders and ultralights. I find it most en-couraging that AirBorne (among other good companies) makes such an effort to inform its customers. 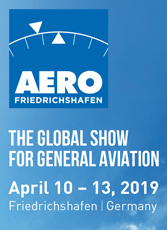 The far-away company also has an excellent representative in the United States in Wayne Bezner-Kerr, with whom I flew in the company's aircraft during Sun 'n Fun 2003. He works with dealers and assists the factory with its contact with them. His job involves qualifying dealers for the distant company and assur-ing adequate spare parts in this country, but he also finds time to run a flight school. AirBorne has steadily approached marketing and sales to the U.S. mar-ket, many thousands of miles from its factory. Virtually every year, rep-resentatives of the company endure long hours on airliners to attend the Sun 'n Fun and EAA AirVenture Oshkosh fly-ins, while their dealers represent them at other shows. All this effort is paying off. The company isn't focused only on the United States either. Air-Borne sells actively into other markets around the world; for ex-ample, a good number of the company's trikes are flying in China. 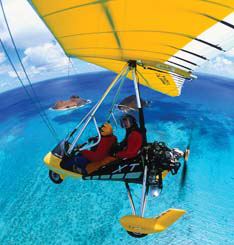 Another fact you may not know is that AirBorne is a world leader in the manufacture of hang gliders, like its Climax. Hang glider pilots are notoriously demanding of top performance and workman-ship. AirBorne leaders Russ and Rick Duncan and Rob Hibberd have every reason to feel proud of their global sales success. Down-Under Wizardry Priced well below the average price of a new car in America, cer-tificated to a tough Aussie standard, supplied by a company with a glow-ing reputation, and with fun flight characteristics and good handling, Outback makes an excellent choice for the recreational pilot in 2004. A choice of wings allows potential buyers to find the performance range that meets their needs. How-ever, unlike nearly all three-axis machines, you could opt for two wings and essentially have two air-craft for the cost of an extra wing. You can choose from a long list of options, load up a friend, and head to your own outback in an Outback. I'm betting you'll return with tall tales and a pleased expres-sion on your face. Notes: 1 Calculated; tank is measured in liters. AirBorne’s Outback trike has all the essentials Light-sport aircraft (LSA) are on the minds of many would-be sport pilots, especially now that the proposed rule has advanced from the Depart-ment of Transportation (DOT) to the Office of Management and Budget (OMB) for its last review. But the big-picture view of these airplanes is complex. Yes, we’ll have sleek im-ported machines like the CT2K, G3 Mirage, SkyBoy, or SportStar, but we’ll also have much more. We will also still have popular American-made machines like Zenith’s CH 601, SkyStar’s Kitfox, Quicksilver’s MX or GT series, RANS’ Coyotes, Quad City Ultralight’s Challenger, and more. And we’ll have trikes, powered para-chutes, gliders, airships, gyros, and who-knows-what-else. The new LSA category actually represents a virtual zoo of different aerial animals. The fiberglass or metal versions that may enter our market from Europe are but the upper end of the spectrum, in both speed and price. Trikes, in particular, may be one of the earlier qualifying entries.